Hi! I'm Danielle Peters, MFT, but you can call me Nell. I'm excited about working together with you to get through whatever might be holding you back from having the life you want. 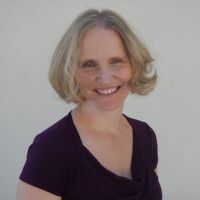 I am a licensed Marriage Family Therapist and have eleven years experience working both for the community and in the private sector in northern California. I specialize in treating depression, anxiety, addictions, codependence, eating disorders, cutting, and trauma. I have also helped people to cope with problematic relationships, parenting issues, grief/loss and life transitions. I also work with people struggling with body image, weight loss, domestic violence and women's issues. I have a special place in my heart for working with families of children with special needs. I enjoy helping people find happiness and wholeness through making improvements in their lives. While I believe that each person deserves an individualized treatment plan, I mostly work from a cognitive behavioral standpoint which means that along with encouraging better self care and identifying the historical causes of the problem I will help you identify and change the thoughts, feelings, and behaviors that are perpetuating your struggles. I have a very warm, supportive and non-judgmental approach that will give you the safe space you need to achieve your goals. I understand how hard it can be to reach out for help, so I applaud you for taking this first step, and would love to support you in this journey. I look forward to working with you and learning about you! Danielle has help me so much in such a shorts amount of time. She listens and brings up valid points or things I never thought to ask myself. I look forward to hearing her input on what is going on in my life. She’s been able to help guide me through my emotions and I find myself in a better place. Her schedule works well with mine and can schedule a call with her each week. I look forward to the future progress I’ll have with her. I have been extremely happy and satisfied with Danielle Peters' attention and understanding . She is truly wonderful and a pleasure to share with. Danielle has been instrumental in helping me work through issues and making sure I remember self care. She’s insightful and knowledgeable. I started with her in a pivotal time of life with major changes and she helped me navigate my path and maintain my well being. I highly recommend her. Danielle is funny, thoughtful, and intelligent. Danielle is great! She was willing to listen to my apprehensions about therapy and had followed through on remembering them. She’s great at responding to messages as well as live sessions. Danielle is warm and kind. She has a great intuition about what is going on with me, beyond what I am able to articulate. Great counselor that actively listens to me, understands my concerns, and guides me toward helpful solutions. Nell helped me while I was going through a difficult time. I feel like she really cares about people who needed help. I felt understood. She shared her understanding of the situation and knowledge as a professional. I gave me an objective view and great perspective. I was able to see my situation more clearly. I believe I went through this difficult moment much easier because of her help. Very sincere and gives great advice :) Danielle is able to see both sides and analyze a situation from an objective point of view. She helped me a lot! Danielle is extremely kind, patient, and above all an EXCELLENT listener, which is something that not all counselors have let alone people in general, haha! She takes the time to always be sure to reply in a timely manner and has so much respect for her clients. I’m lucky to have her after having tried 6 different counselors! Danielle is compassionate and knowledgeable. She has helped me manage anxiety related to infertility, medical conditions, and marriage issues. She listens and understands, but also gives feedback and suggestions. I highly recommend her. Danielle is a wonderful person. She is patient and kind and extremely validating. She has a number of different techniques to help you cope with what you are going through and she is easily the best therapist I have ever had. She is understanding and doesn't judge and has a variety of skills to help you achieve your goals. I strongly recommend her to anyone struggling with emotional regulation. I popped on this website by coincidence. Dr. Danielle was assigned to me and she was of a great help in my hard times. Danielle is the absolute right choice for anyone who is seeking counseling and some therapeutic questions which move you to the right way in order to develop yourself to your maximum potential. I am really grateful for her of understanding my situation and drawing the conclusions needed to work on my problems in depth. I think Danielle was perfect for me. Would you like to write a review for Danielle Peters? We'd appreciate if you can spend a couple of minutes to write a short review for Danielle Peters (M.S., LMFT). This review would be shared with Danielle Peters. It may also be posted in our website or in Danielle Peters's profile but it would be anonymous and your identity would be kept completely confidential.